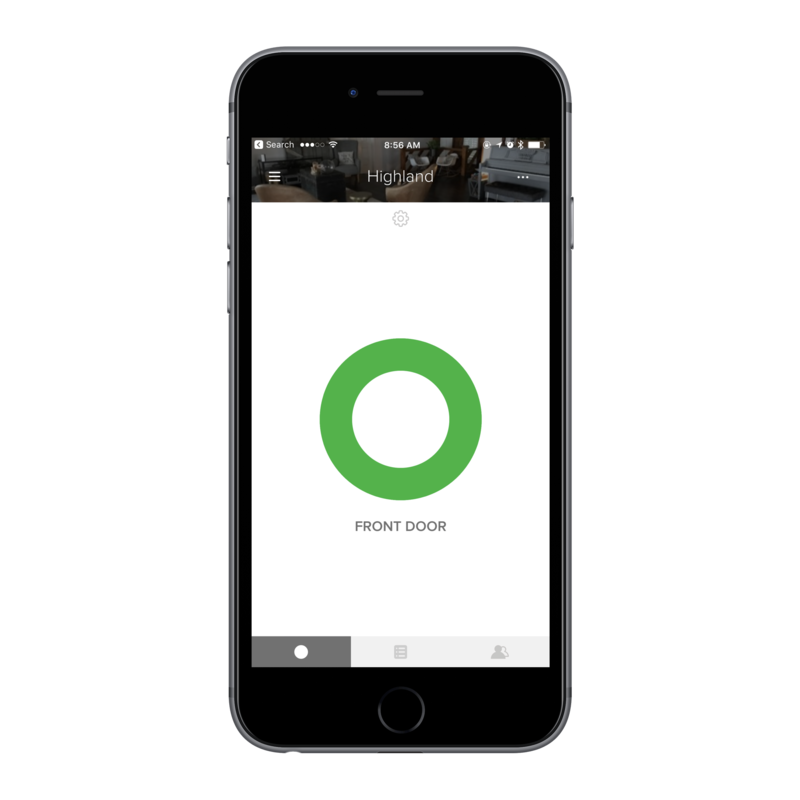 With the August lock's integration into HomeKit, unlocking your door from your iPhone isn't just cool — it's finally convenient. Sometimes, there’s an argument to be made: smart homes can be too smart for their own good. After all, why would you bother setting up your bedside lamp to turn on and off via your phone, when you could simply flip a switch? I’m the first to admit that there’s a lot of validity to this argument, and I believe it’s even more appropriate when it comes to your home’s deadbolt. We’ve had keys to open deadbolts up for years and it seems like that’s worked just fine. Yet, when you push a button on your phone and watch your door automatically unlock in front of you, there’s something about it that seems so cool. 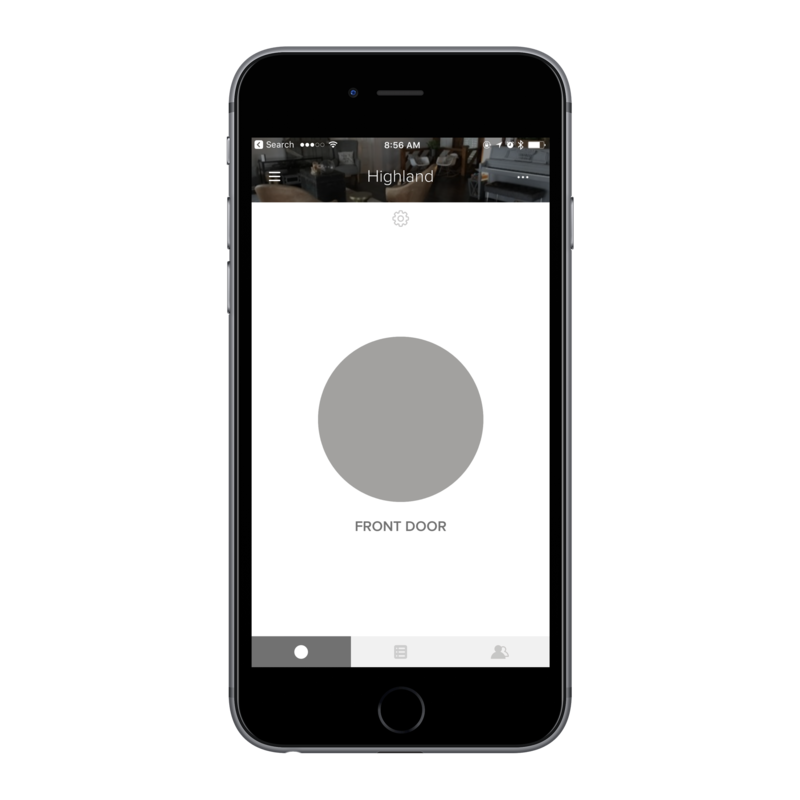 Now, with the August lock’s new integration with HomeKit, it’s not just cool — it’s finally convenient. The August lock is a pleasant looking addition to any home’s door. If you’ve been paying attention to the smart-lock market at all, you’ve probably heard the name ‘August’. 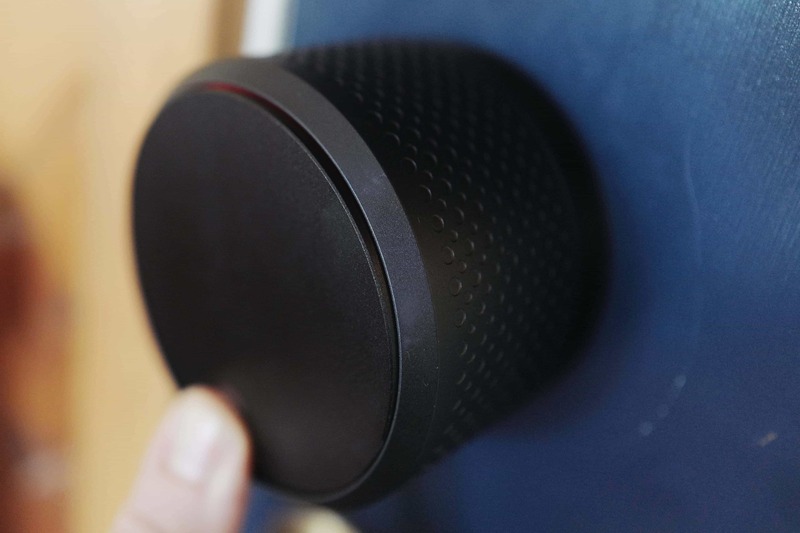 A relative newcomer amongst traditional lock companies like Schlage and Kwikset, August quickly defined themselves as the go to solution for smart locks. They also happen to be the most beautiful. The lock itself has an understated yet striking circular design, and comes in dark grey or a matte silver. This is made to make a statement on your door, and for those who want to add a modern touch to their home, the aesthetic will be welcome. Installing an August lock in your home is simple, and builds upon your door’s existing deadbolt. Just disassemble the lockset, remove the latch on the inside of the home, and replace it with a mounting plate and ‘tail piece adapter’ which August includes. The tail piece adapter is how the new lock is able to grab ahold of the deadbolt you already have, and you’ll get three different versions which should work with almost every lock on the market. Pop the August device on top on the mounting plate, screw everything back together, and the hard work is done. Even the least handy of us (myself included) can accomplish this in about 15 minutes and have a new addition to the budding smart home. Compared to a traditional door latch, the August looks a bit bulky. But it’s been designed in a way to wear that size well. The brains of the August (and the pair of AA batteries making the device run) are hidden behind a clever magnetic faceplate to avoid requiring a screwdriver. Pushing down on the logo allows you to pull the faceplate off entirely, in case you ever need to reset an inoperable system or replace the device’s batteries. However, once the device is on your door, you’ll likely find yourself fidgeting with the hardware very little. Instead, you’ll be opening up an app. Flipping open the magnetic cover reveals a simple (but contrastingly bright) interior. 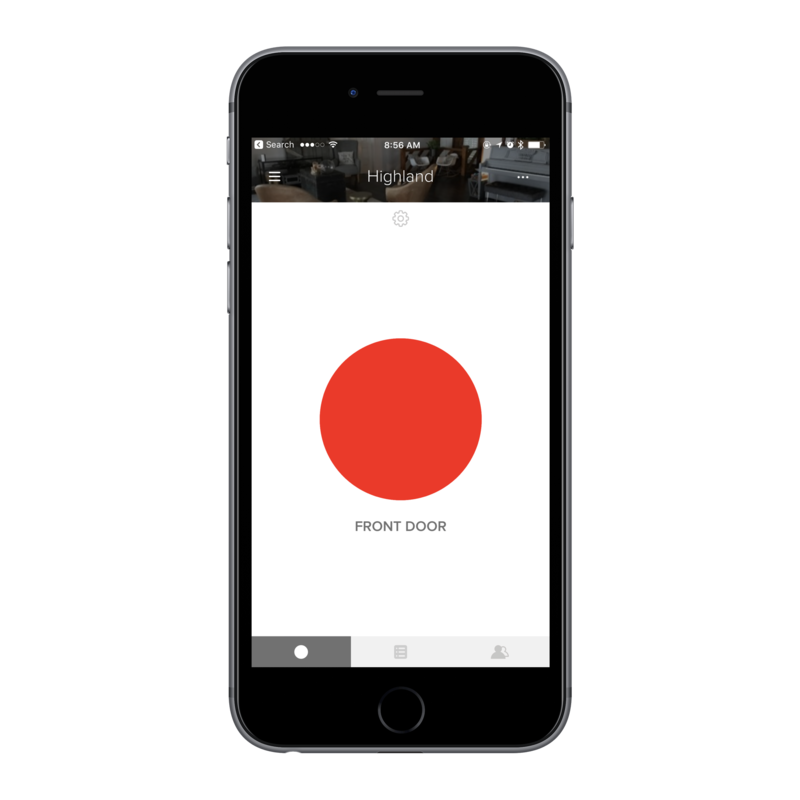 That August app (available for iOS and Android) walks a new user through setting up and calibrating the lock. This process is quick and painless, and mostly centers around the user confirming just how far the new lock is supposed to twist itself in order to sufficiently close your door. Once the lock is up and running, opening the app will show a screen dominated by a giant circle (representing your August device). The screen is simple: If the circle is red, the door is locked, and if the circle is green, the door is unlocked. Tapping it will change the state. There is, of course, more to the app than this, but I would wager many people will never need to navigate much further. This screen is simple: If the circle is green, the door is unlocked. And if it’s red (seen below), the door is locked. You could certainly call the August lock’s app minimalist, with its giant circle taking up the majority of the screen. To make matters even more convenient, the newest version of the August lock also works with HomeKit, Apple’s new smart home platform. 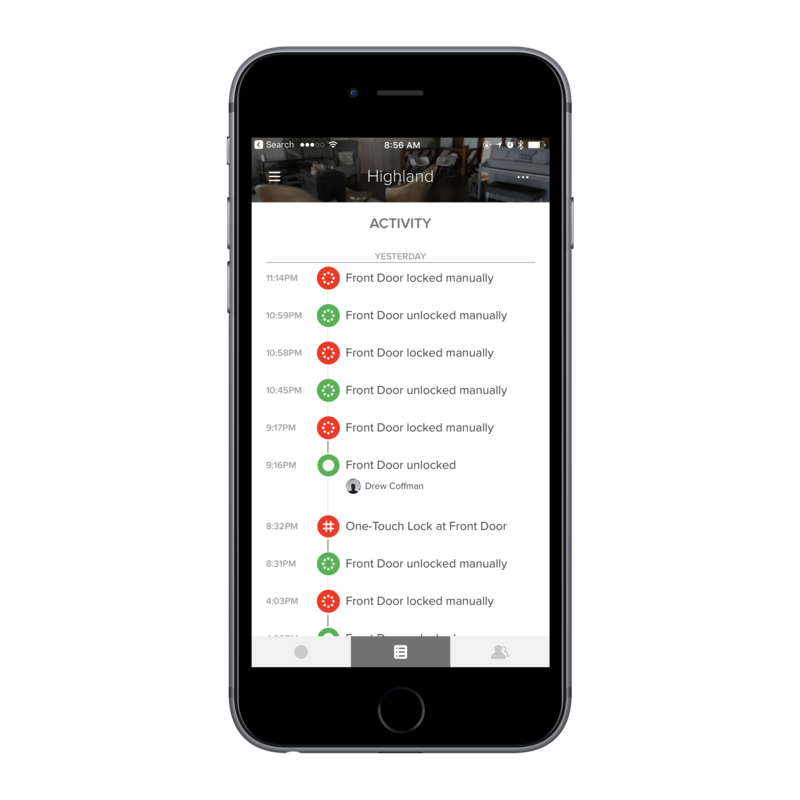 This native smart home management system solves one of the biggest problems of the technology as a whole: the aforementioned fiddling with an app to start any action. 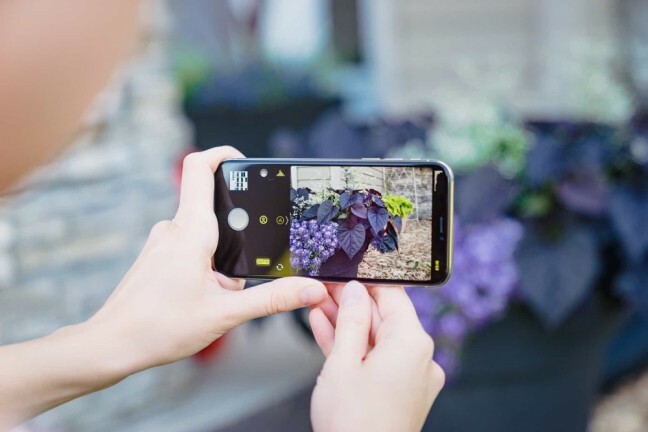 Is it quicker to unlock your phone, pull up the August app, wait for the lock to load, and tap a button, or simply go the old fashioned route and put a key in a slot and turn your wrist? The back of the August lock’s faceplate handily holds your HomeKit pairing code, which will automatically add the device to the native app. The beauty of HomeKit is that it takes quite a few steps out of every smart home action, while at the same time creating a HUB where every device can be found in one place. By swiping up Control Center and tapping the August lock’s button, the lock opens. This is much more convenient than any other smart home method I’ve ever tried. 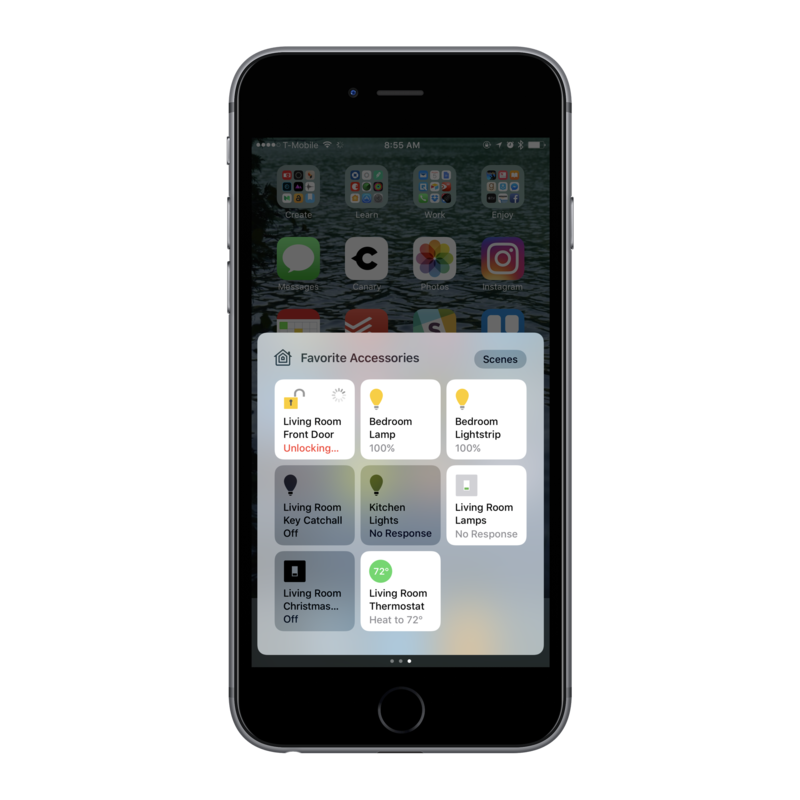 HomeKit for iOS is easily found by swiping up Control Centre and swiping to the side. Simply tapping the Front Door button unlocks the front door. And simply tapping the button again can lock the front door. 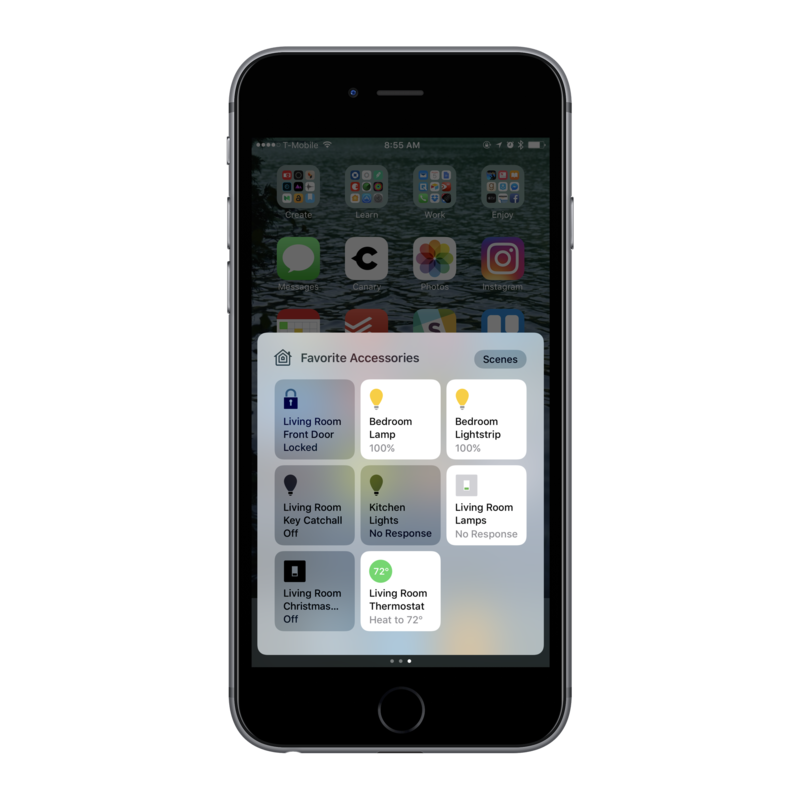 HomeKit does a great job in eliminating the tedious steps of opening apps and waiting for them to load. If you’re not invested in HomeKit and are wondering if there are major differences between the older version of the August lock and the new one, the answer is ‘not really’. 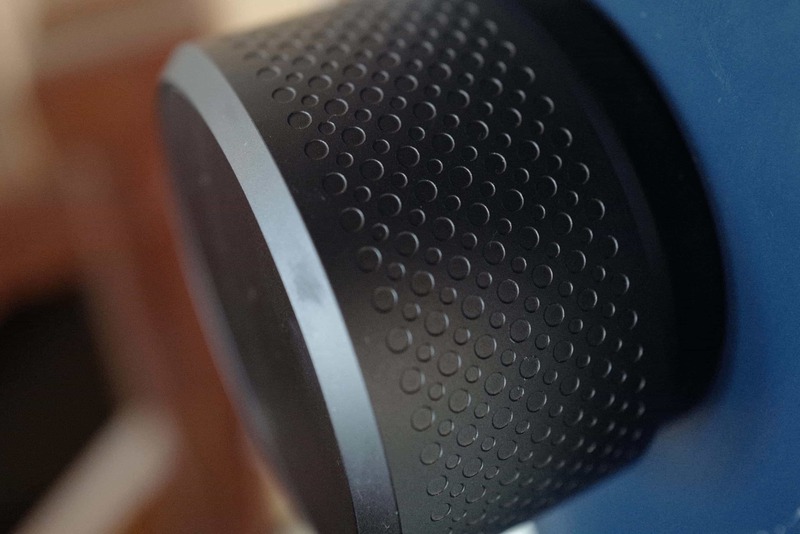 August says there are ‘minor’ design changes between the two devices, with the new model featuring an “updated ring knurling pattern and updated faceplate attachment mechanism.” Everything else is the same. It should be said that the August lock will also work with a few other smart home HUBs, including Amazon’s Alexa — though how often you want to verbally ask for your door to be locked or unlocked while you’re already inside the home might be a question worth asking before going through the hassle of setting it up. The August lock’s design, close up. The pattern and faceplate mechanism have received a slight update, but overall there’s little to be seen here. Navigating through the app reveals several settings for your August lock. The device itself can be named (I chose the very original ‘Front Door’). Its simple chirping sounds can be toggled on and off, and you can enable ‘Auto-Lock’ and ‘Auto-Unlock’ functionality. If you choose to automatically lock the device, the August app will ask you how many minutes you want to put between manually opening the door before it decides to close itself. This can be anywhere between 30 seconds to 5 minutes, though I expect many people will keep this turned off after they frustratingly bang the lock into the side of the door after taking too long getting groceries from the car to the kitchen. Auto-Unlock is more interesting, however — enabling this feature will present the user with a GPS pin on a map and ask you to select a desired radius around your home. Once your phone enters into this radius, the lock will, in theory, open itself up. 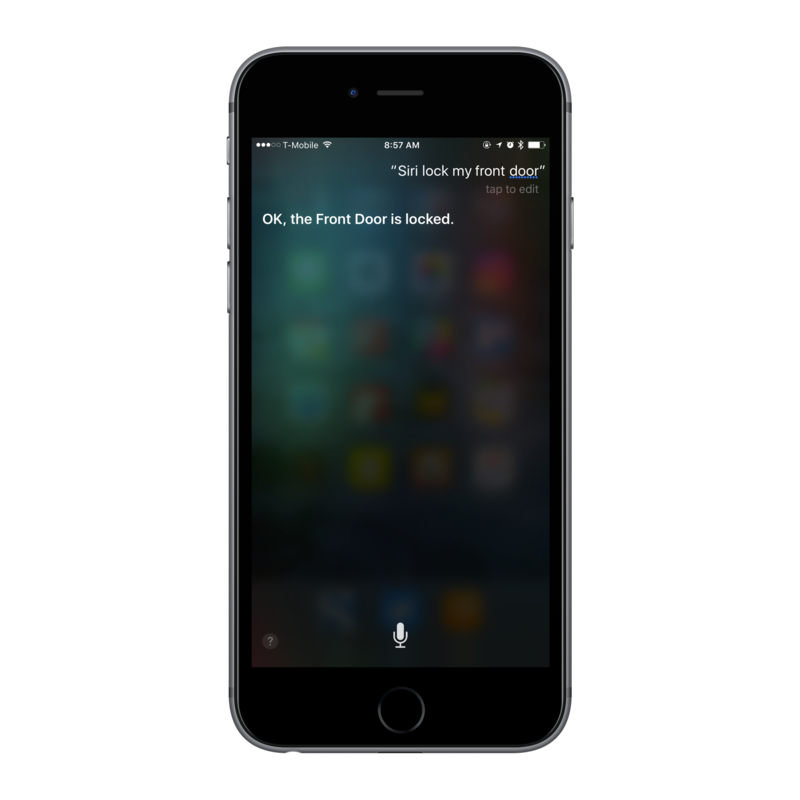 With HomeKit functionality enabled, Siri can help you open or close the door if you ever find yourself in a situation with your hands full. 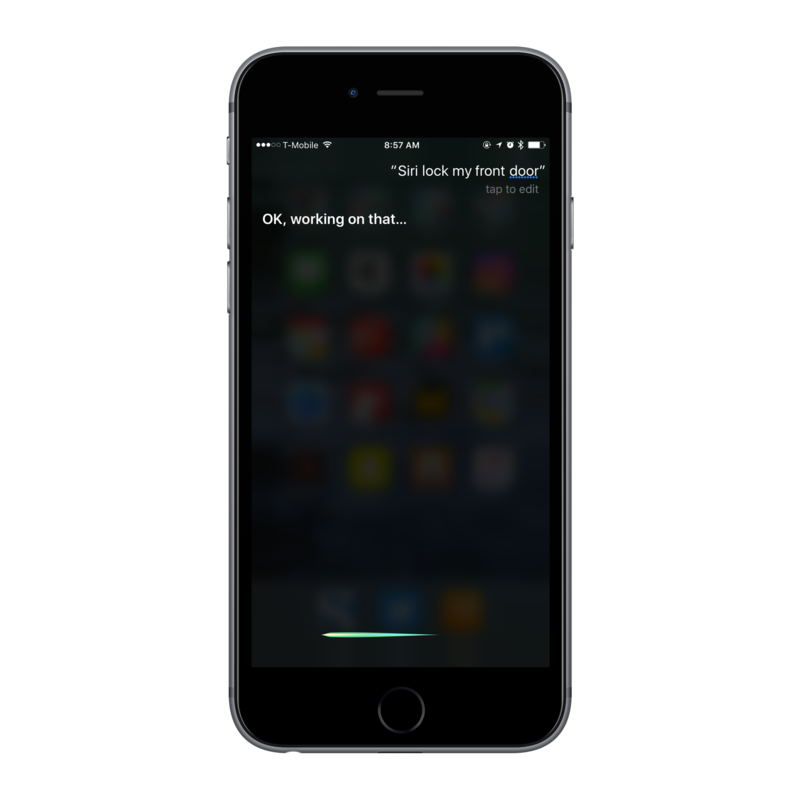 Situations like bringing in the groceries really bring Siri’s HomeKit potential to life. After several weeks of testing, I can say that this feature works about 90% of the time. This might be because I live in an area with spotty GPS, or it might be because my wifi is poor. Regardless, smart home features really need to be about 99% reliable before you can fully give it your trust. 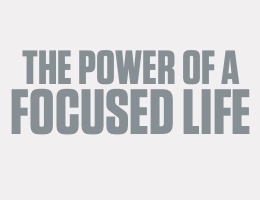 As this is the case, I find myself reaching for my phone time and time again instead of hoping it will do it for me. A slight horror story: The morning that I wrote this review, I woke up to find that my door had ‘auto-unlocked’ at 5 in the morning, while I slept. Clearly something strange happened with my phone, making the August think I had left and returned. Though I may be an edge case, it’s situations like this that make me think manually using this device is still the best route. Those with spotty wifi connections may also find that the device takes too long to unlock for their tastes. Opening the app will occasionally show the device’s circle greyed out, meaning the August is trying to determine which state it’s currently in. When the circle is in this state, it’s not modifiable, meaning you might be stuck outside your home without the ability to get in. Thankfully, in my own testing, HomeKit avoids this ‘Updating’ problem entirely. But again, your experience might be different than my own. The dreaded grey circle can prove extremely annoying. This is, undoubtably, the worst part of owning smart home technology. Thankfully the August lock still allows the use of a key. The August app also has two additional panels after the primary main device screen. The second pane is ‘Activity’, which shows a list of each and every time the door has been locked and unlocked, along with how it’s been unlocked. It will tell if the door’s state was modified manually or by a particular person’s phone, as well as the exact time. I can imagine this is helpful for workspaces, shared homes, or in AirBnBs, but it’s not likely to be a space where a typical user will be spending much time. The activity screen’s record of changes might be helpful in certain cases, but will likely be ignored by many users. 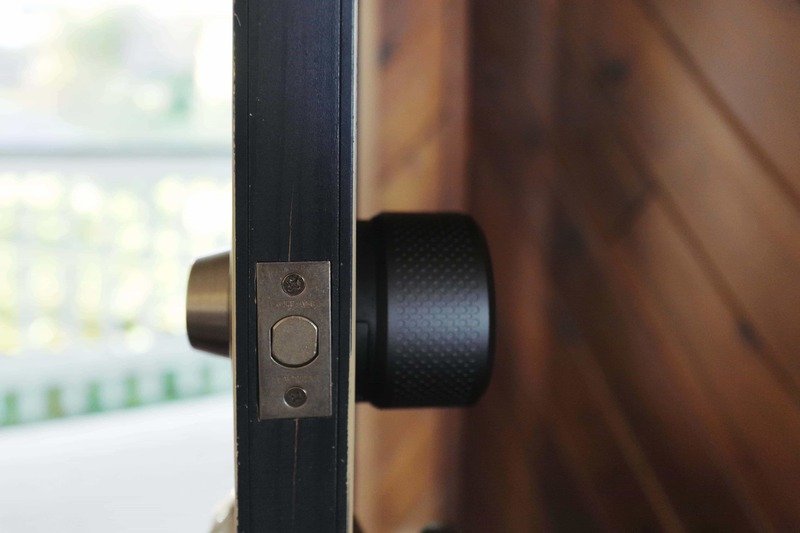 The third pane is more important, especially for those aforementioned AirBnBs: ‘Guest List’ is, in my opinion, one of the major benefits of having an August lock installed in your home over a traditional deadbolt. Giving someone temporary access to your home through their phone is both more convenient and safer than handing over a physical key. 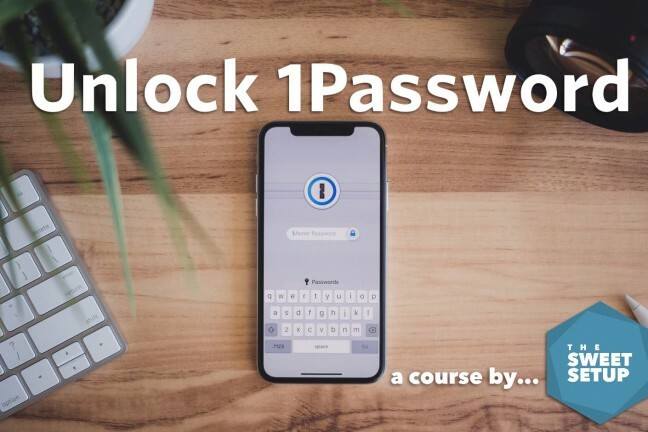 To allow someone else in, you can simply shoot them an email or text, have them sign up for an August account and download the app, and they’ll have access to your home for however long you want them to. Once the stay comes to an end, so too does their ability to use the lock. The Guest List might be a welcome addition to any homeowners who have friends visit often and are a major convenience to the world of AirBnBs. 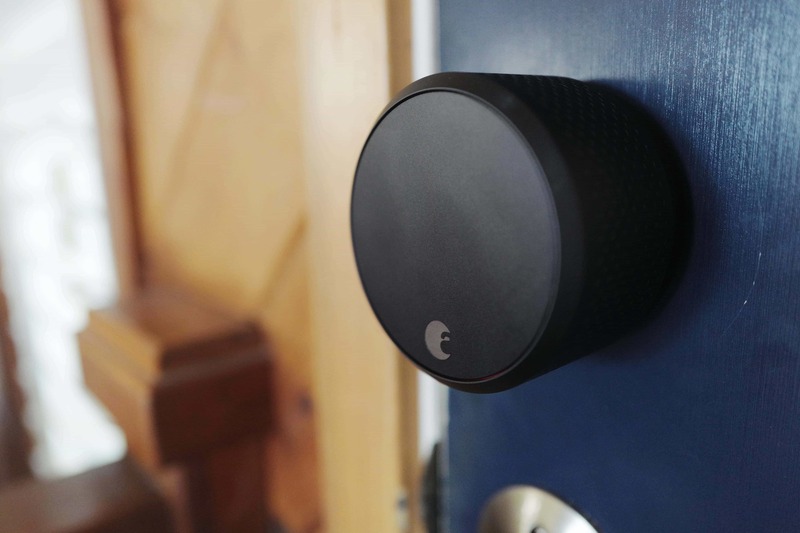 It’s features like these that make the August lock such an interesting piece of technology — one that many people are starting to add to their homes. Though physical keys are far from dead, there’s a growing market for people who want to conveniently access components of their home no matter where they are. 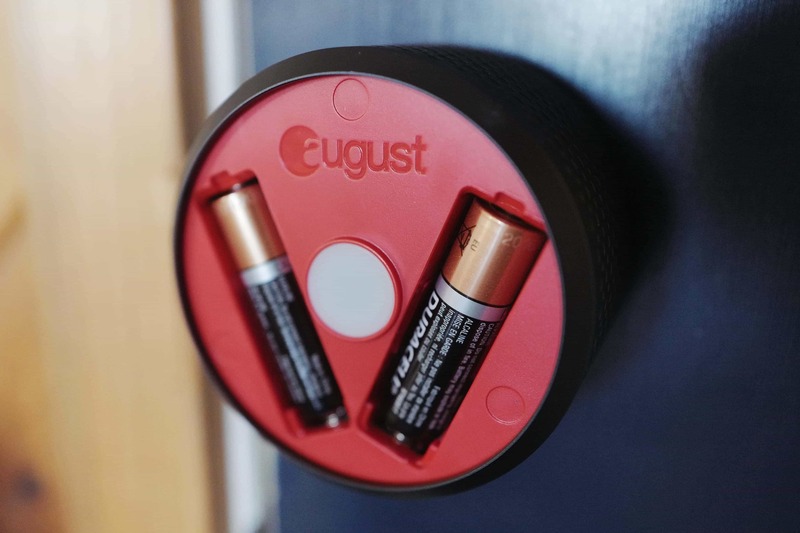 The August lock is a great first component for any growing smart home. 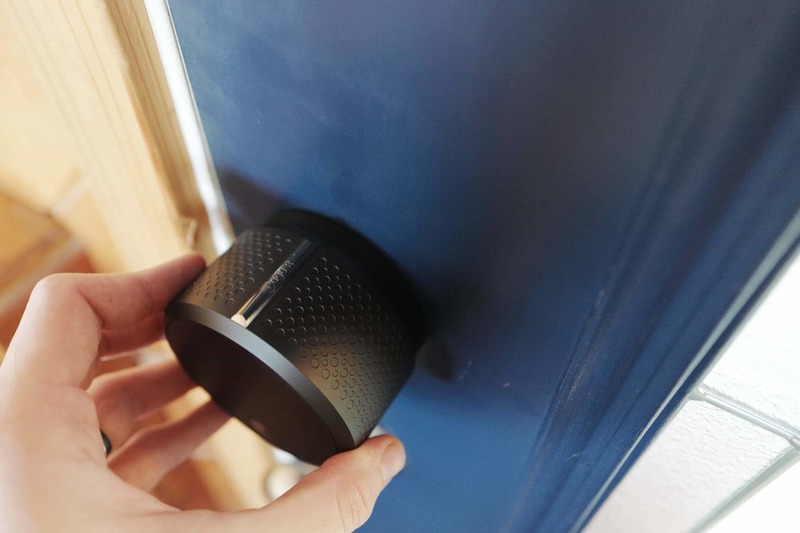 Whether that’s simply locking the door from bed at night, or checking to make sure you locked it yourself after you’ve pulled out to run some errands, the August lock can become a new and handy component of any home.